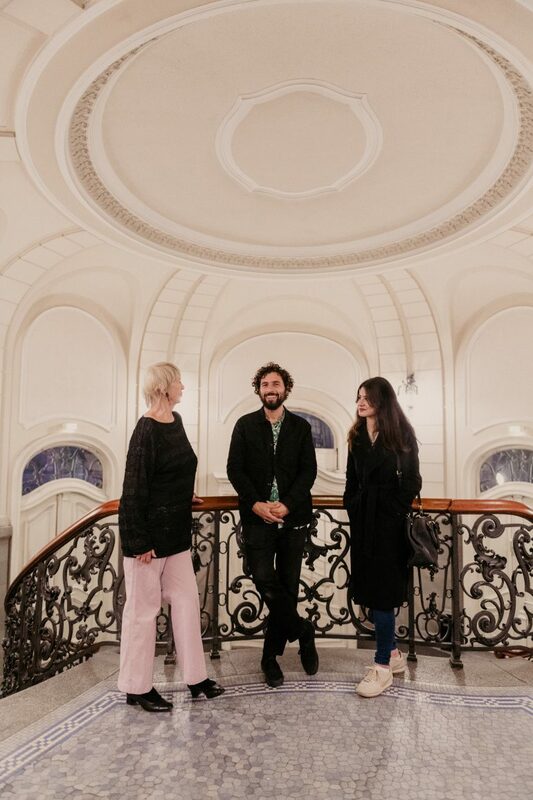 On a Monday evening in October, there is a very special meeting on the agenda: A senior citizen and a secondary school student, Jutta Conrad and Prochista Sarshar, have a date to see a concert given by Swedish singer José González at Hamburg’s performance venue Laeiszhalle. Conrad is 70-something, “I cannot reveal any more than that,” she quips. 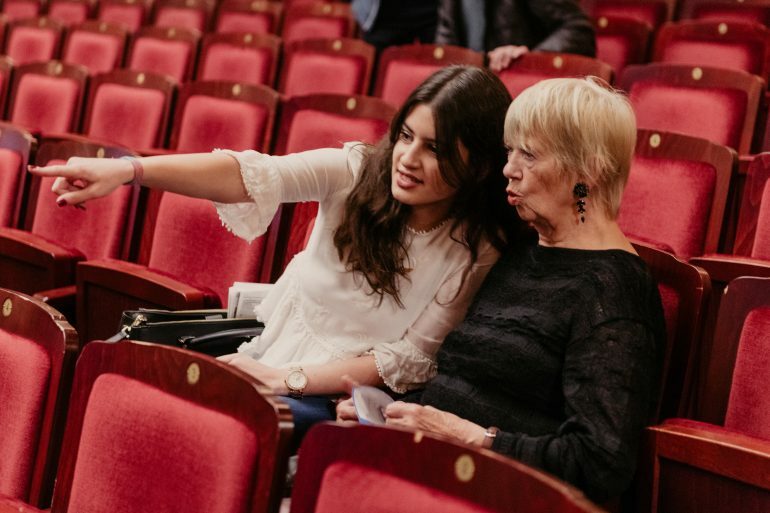 What connects them: a love for culture and an interest for the other respective generation. 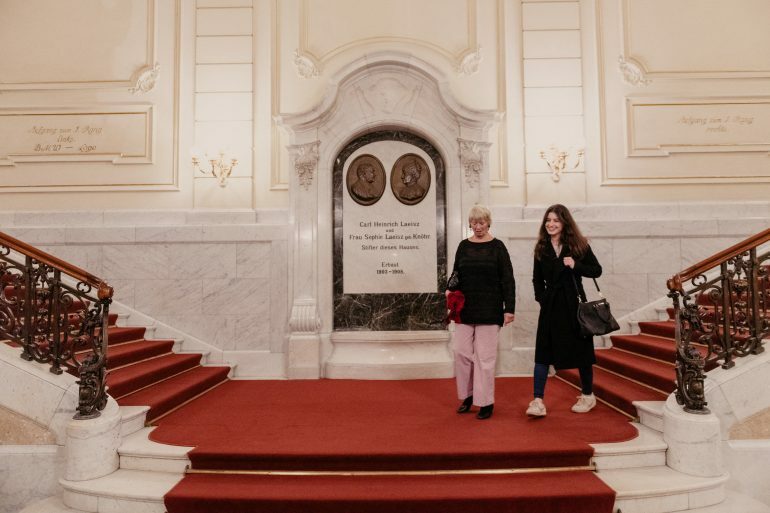 Both are participants in the project Kulturistenhoch2, an initiative that enables a growing number of retirees with limited financial and physicial means to attend a cultural event with the assistance and company of a secondary school student. 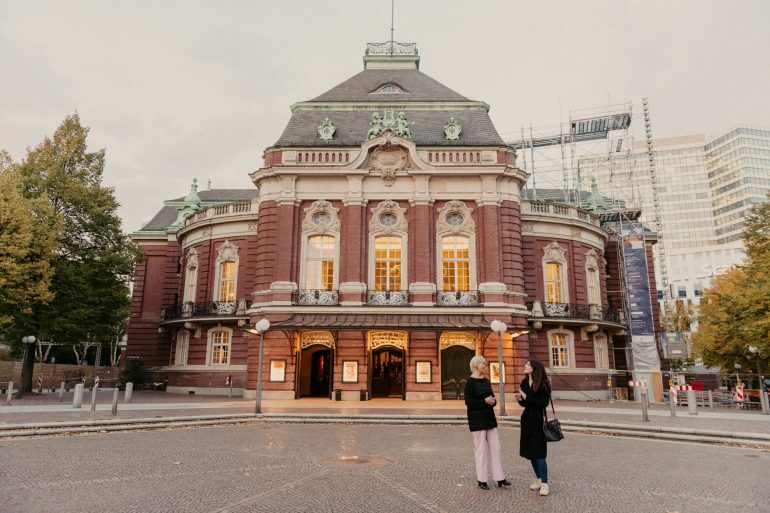 The principle is simple: Some 100 cultural organizers all over Hamburg provide tickets for events, including concerts, museums, theater, readings, and operas. 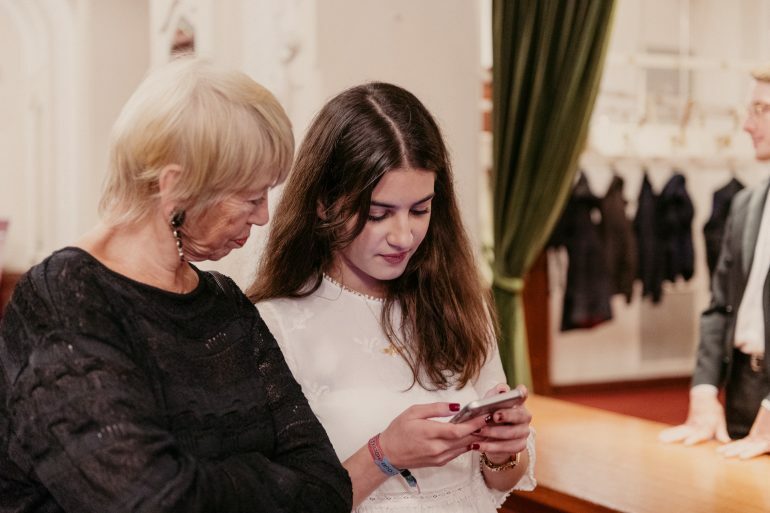 The older participants who register are contacted and receive an invitation, while the students are notified there is an elderly person from their neighborhood would like to attend an event. Those who have the time and the inclination to join can obtain contact info from Kulturistenhoch2. Then, a date is set and they attend the cultural event together. Currently, there are nearly 150 elderly people registered, representing 20 neighborhoods. Senior citizens must fulfill three criteria to participate: they should be residents of Hamburg, be over the age of 63 and have access to no more than 1,000 euros net income per month. Simultaneously, there are around 150 students, 50% of whom have an immigration background, representing 9 participating schools in 27 Hamburg districts. Jutta Conrad and Prochista Sarshar meet for the first time over tea in a café across from the performance venue. They agreed to the meeting point in advance over e-mail. Both seem somewhat reserved, yet curious and open to getting to know the other. 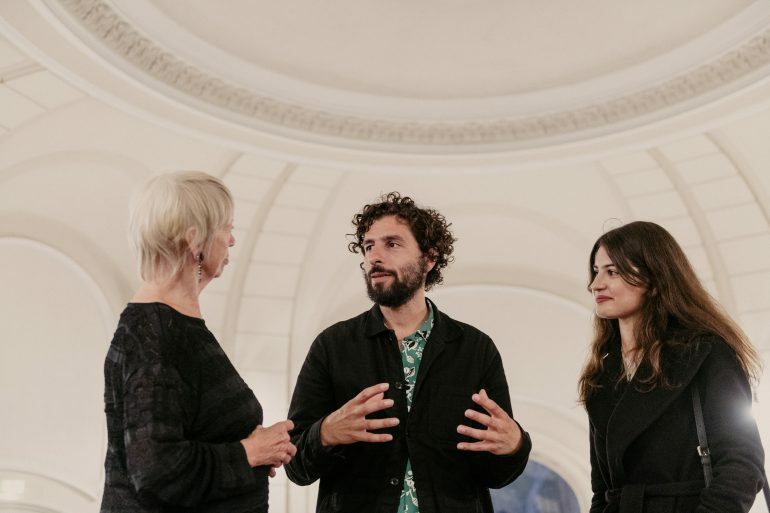 Prior to today’s concert, a big surprise awaits – the two of them have the once-in-a-lifetime chance to personally meet the internationally renowned musician, José González. Senior citizen Conrad is somewhat nervous but as soon as she has shaken the singer’s hand, she comes into bloom and talks with him – in fluent English. 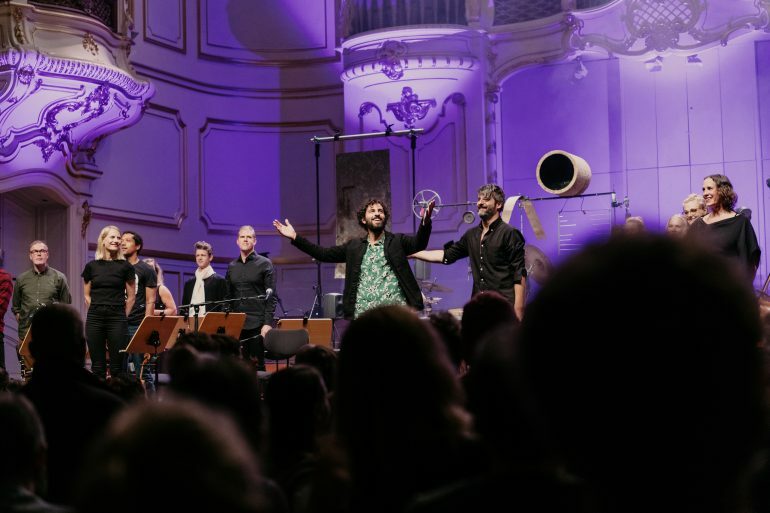 On this evening, singer-songwriter José González will be accompanied by The String Theory, an experimental orchestra. 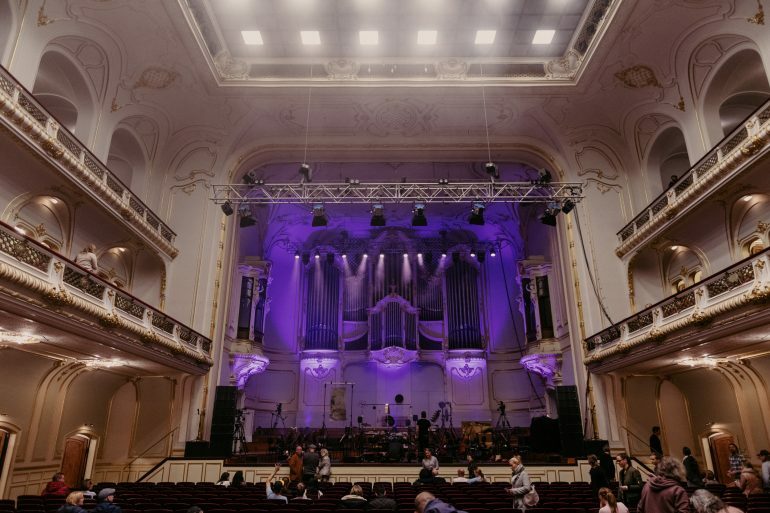 Classical music is combined with contemporary folk-pop – both of the concert-goers enjoy the show. 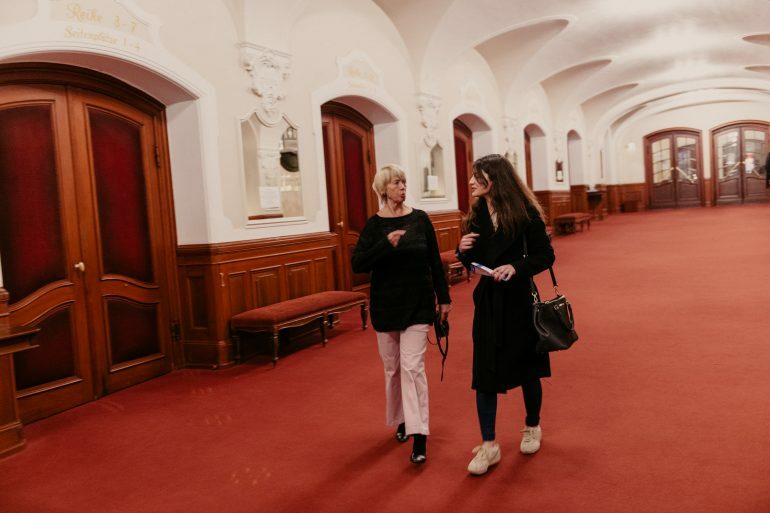 Kulturistenhoch2 was founded by Christine Worch and is a project of Stiftung Generationen-Zusammenhalt (Foundation Generational Solidarity). 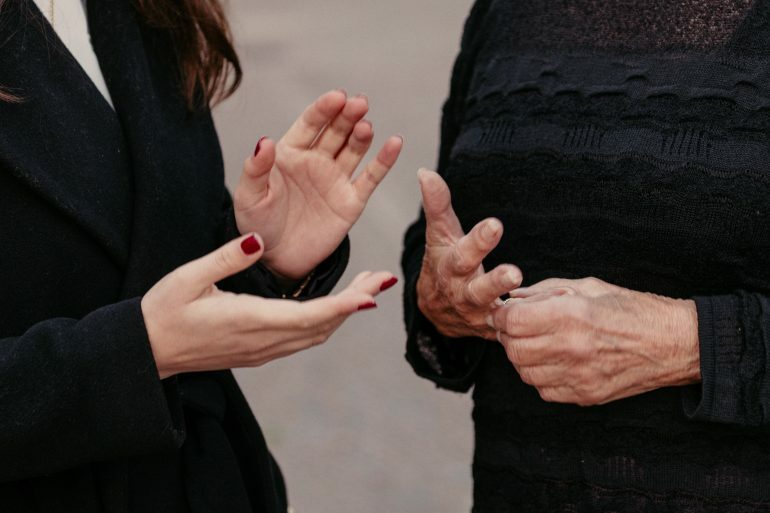 After nearly 30 years in the private industry, she decided to exclusively deploy her know-how in the future for social projects involving aging, dementia, or social deprivation. 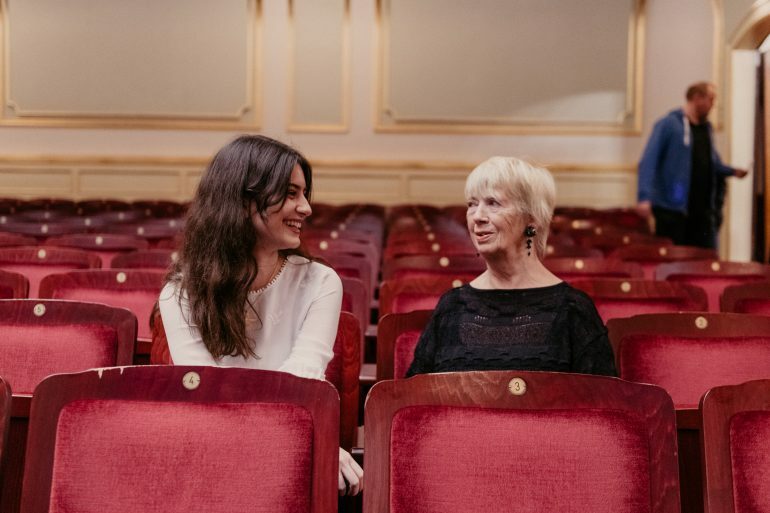 While carrying out her work with the association KulturLeben Hamburg e.V., she noticed that older people often had to waive the free tickets to cultural events because they lived alone, often with a physical disability, isolated in their apartments and no longer having anyone to accompany them. That is how the idea for Kulturistenhoch2 was born. “I wanted to leverage the unifying power of art and culture and facilitate social and cultural inclusion for people who have financial limitations.” Here, culture serves as the opportunity for initiating contact, encounters, and exchange between generations and to solidify solidarity in the city’s neighborhoods. The social engagement teaches young people to assume responsibility in society,” explains Christine Worch. With the support of the award from The Power of the Arts, Worch is looking to work toward scaling her project on a national level. She and her team are currently working on a handbook to that end. Um unsere Website für Sie optimal zu gestalten und fortlaufend verbessern zu können, verwenden wir Cookies. Dazu zählen Cookies, die für den Betrieb der Seite notwendig sind sowie solche, die lediglich zu anonymen und internen Statistikzwecken und für Komforteinstellungen genutzt werden. Klicken Sie auf „Zustimmen und Fortfahren“, um Cookies zu akzeptieren, oder klicken Sie auf „Cookie-Einstellungen“, um zu entscheiden, ob bestimmte Cookies bei der Nutzung unserer Website gespeichert werden sollen. Eine detaillierte Beschreibung der von uns verwendeten Arten von Cookies finden Sie in unserer Datenschutzerklärung.